I pick today the best of the best on creams, serums, moisturizers, etc.. To take care of our skin this super dry seasonn that we called "Winter" *insert crippy sound from horror movies here*, I know some people with really big skin issues when the winter aproaches.. Remember, the best accessorie you can have is a healthy glowing skin on a budget! Scroll down below to check out my favorites under $45. Like a full night's sleep in a jar, this innovative overnight leave-on mask features vitamins C and E to help tired-looking skin appear clearer, brighter, and more radiant. Shiseido’s exclusive PhytoTarget Complex supports skin's natural moisture factors and protects against external stressors. The non-greasy, non-sticky formula leaves skin feeling dewy and hydrated, while a gentle violet fragrance generates relaxation to prepare you for a pleasant sleep. 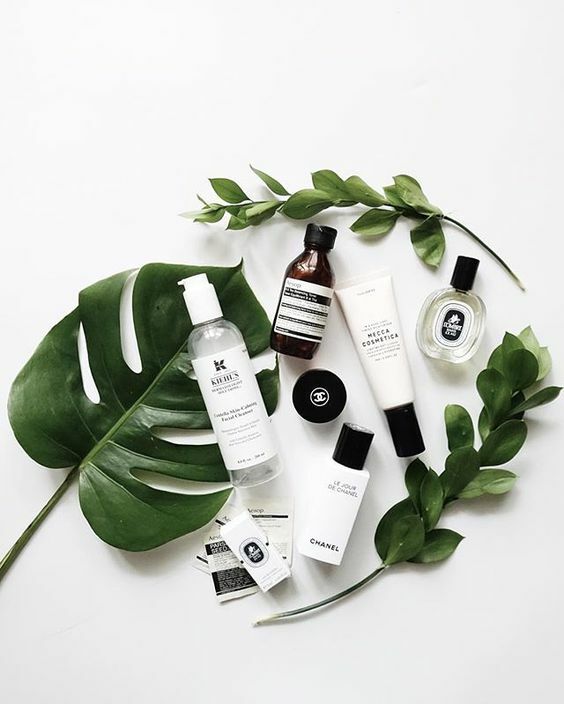 Pure One Step Camellia Cleansing Oil contains a blend of botanical oils that thoroughly cleanse the skin without stripping it of its natural moisture—an essential first step for any skincare ritual. It is formulated with Japanese camellia oil (tsubaki), prized in Asia for centuries for its ultimate moisturizing and antioxidant benefits. It also contains Tatcha’s Hadasei-3 Anti-Aging Complex, a proprietary antioxidant, antiaging blend of green tea, Okinawa red algae, and Japanese rice bran extracts. It easily rinses away makeup completely, leaving skin fresh and pure without double cleansing. This potent skin-resurfacing formula is enriched with salicylic acid and vitamins C and E cushioned in eight silky plant oils—including cranberry seed, sage, and pomegranate —to release dull, dead surface cells. While the relaxing aromas of neroli, valerian, and vanilla to help lull you to sleep, radiance is restored and skin awakens smoother, rehydrated, and vibrant. This innovative, multiaction Trans-Foam Clay in Calming White is applied like a clay mask but transforms into a gentle foaming cleanser, removing makeup, absorbing oil, and detoxifying your skin. When splashed with water, the mineral-rich, white French clay lathers to a foam that brightens, tones, and removes dead skin cells for a fresh and healthy-looking complexion. Fine natural clay particles charged with hydrogen mineral water and other natural ingredients—including chamomile flower extract to calm sensitive skin and redness—deeply cleanse pores and gently exfoliate. This package of uniquely textured wipes resurface and smooth skin in one simple step. Formulated to swipe away dirt and grime, they gently exfoliate to remove dead skin cells, minimize pores, and even skintone—leaving skin feeling smooth and hydrated. A pack of refreshing wipes that remove surface dirt and oil while gently exfoliating for skin that’s softer and smoother. A concentrated drop formula—infused with decongesting green coffee—to leave skin looking refreshed, radiant, and plump. A super-purifying mud with four mineral-rich clays, charcoal, and papaya enzyme for a fresh, healthy-looking glow. Great products, thanks for the suggestions.